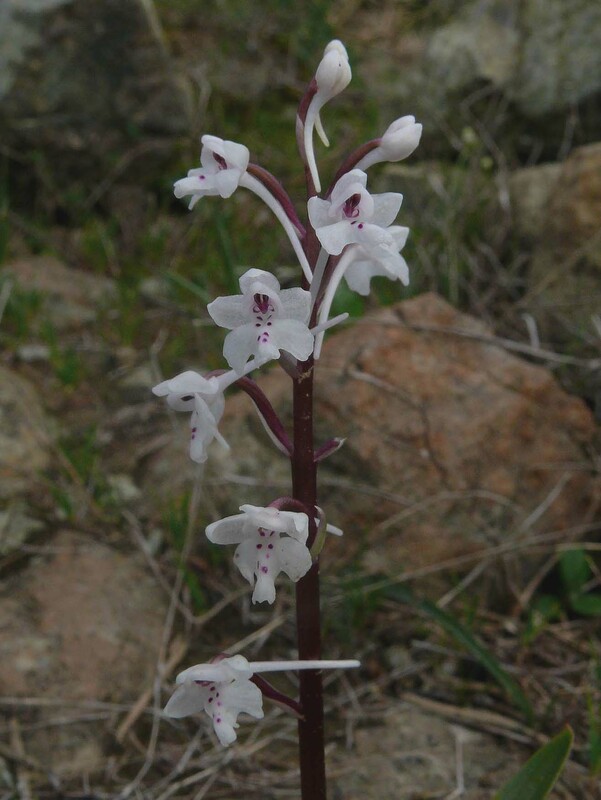 This Orchis was first described by Baumann and Baumann from Lydia, Anatolia in 1991 and was named in honour of the contemporary botanist, E. Sezik. 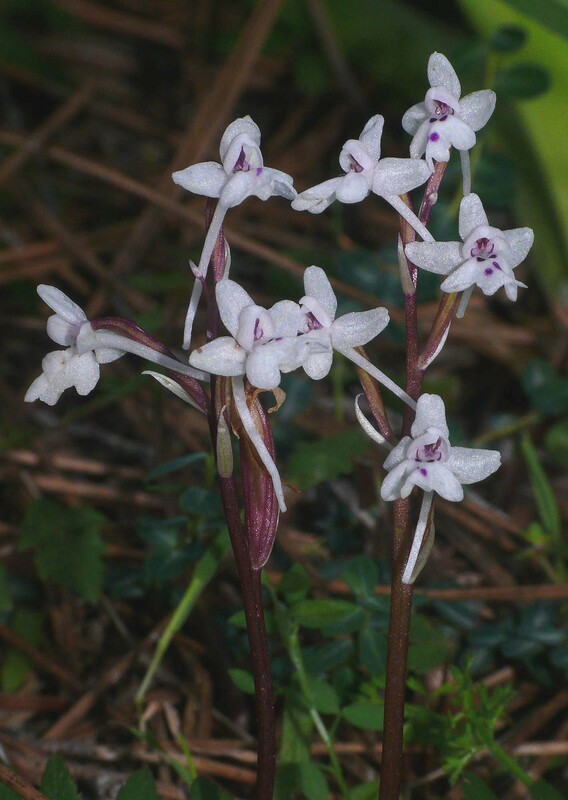 The exact status of O. sezikiana is a matter of wide disagreement amongst botanists and the only area of general acceptance is that this is a heterogeneous orchid resulting from hybridization between O. quadripunctata and O. anatolica, O. sitiaca or O. troodi. 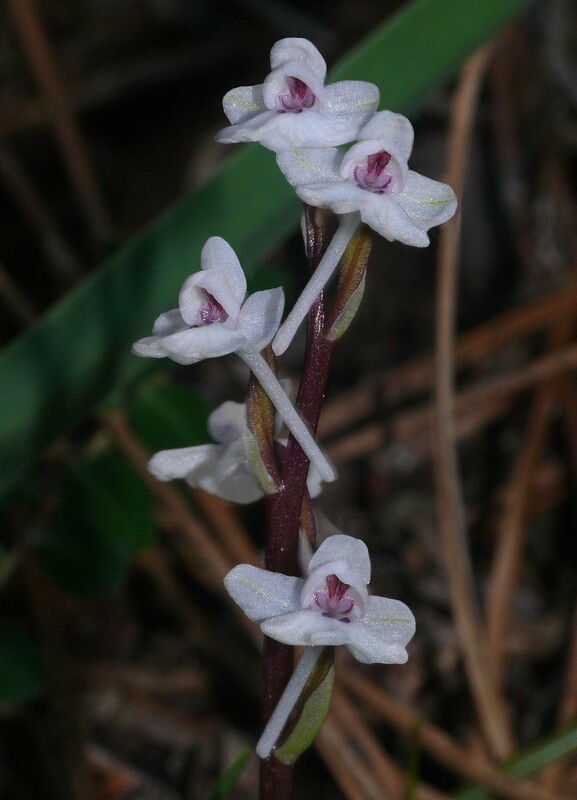 depending on the region in which it is found. 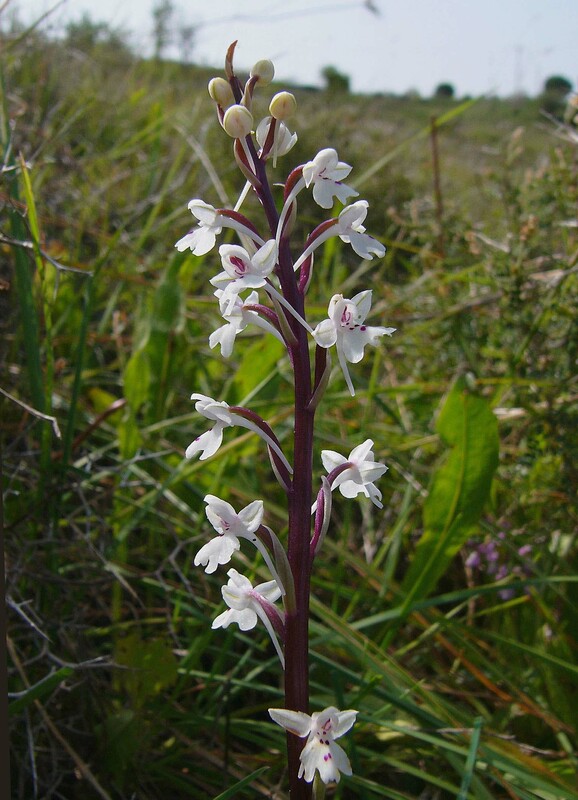 The question at issue centres on whether or not these hybrids have sufficiently stabilized to be regarded as a species in their own right. 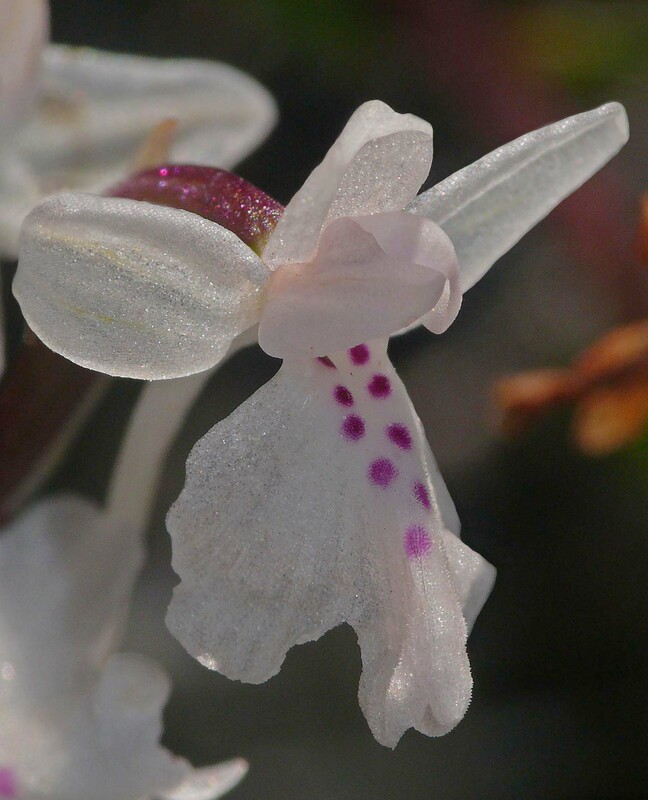 The prevailing view seems to be that where O. sezikiana occurs, its parents are generally in close enough proximity to discount the possibility of the hybrid being seen as leading a truly independent existence. 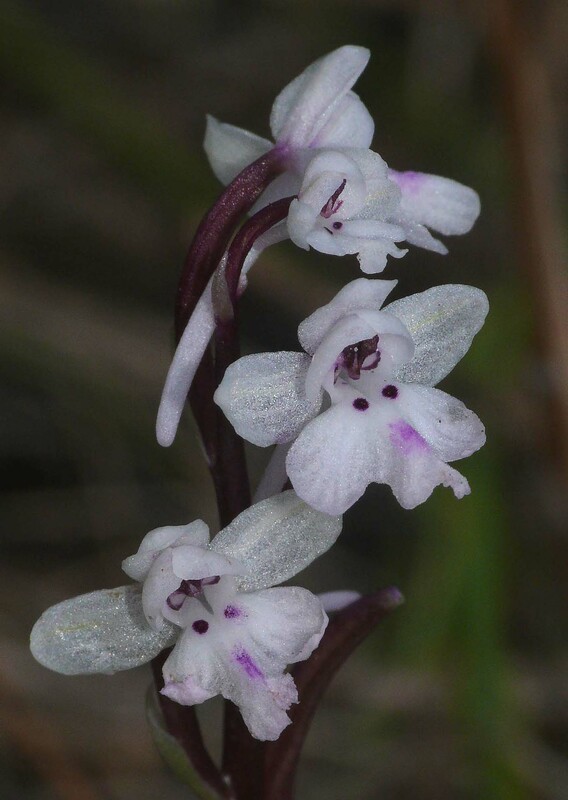 As has already been mentioned O. sezikiana is a heterogeneous taxon where the presence of four potential gene donors dictate the plants distribution. 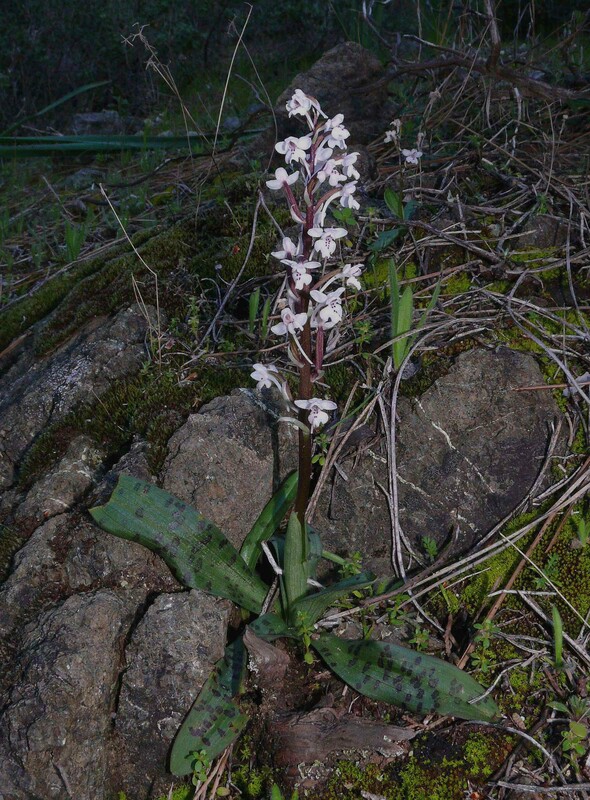 Its range is centred on Crete, Cyprus and Anatolia where it may be found growing (unsurprisingly) in similar habitat and aspect to that of O. quadripunctata. 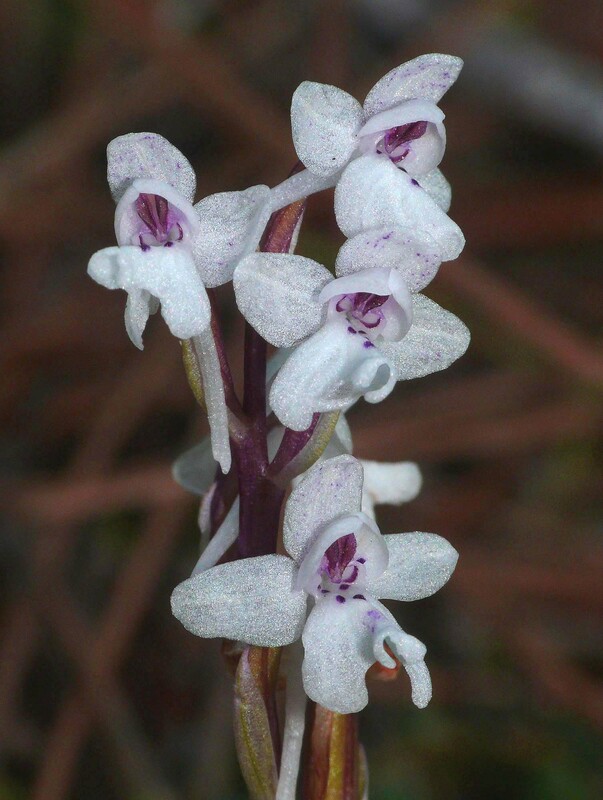 Given its hybrid background its appearance can be variable though it generally seems to possess more of the characteristics of O. quadripunctata. 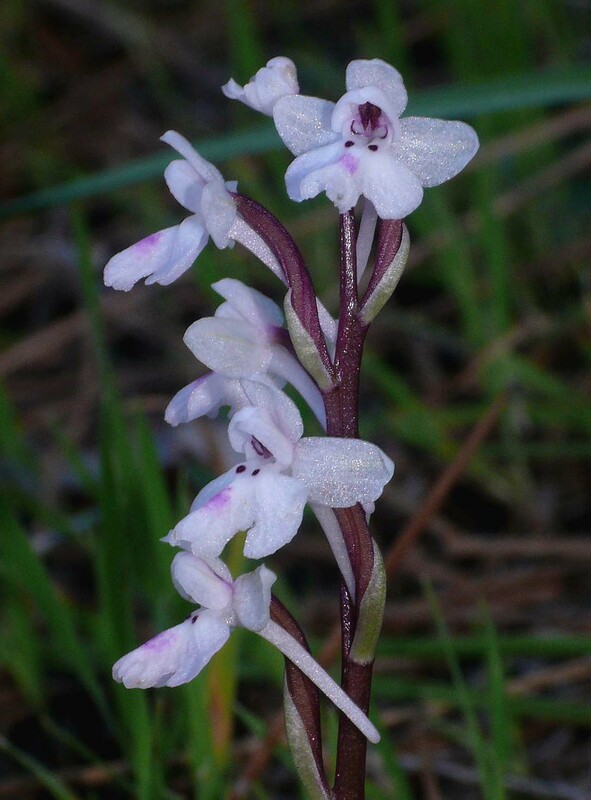 The main differences are usually to be found on the labellum where the central lip will contain more and heavier spotting, it may also show some different coloured blotching. The spur can be both straighter and heavier. 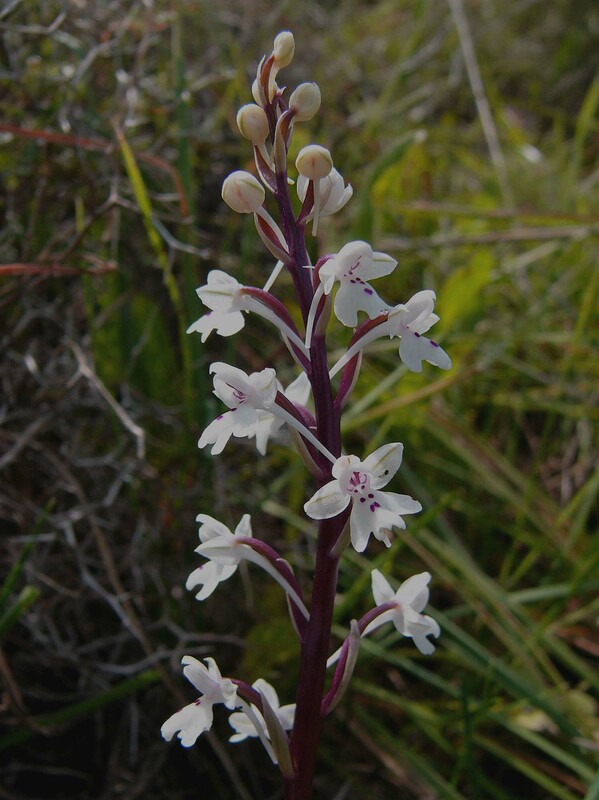 The photos here all come from Cyprus where the plants are invariably white. A careful study of photos 8 and 10 reveal indistinct green lining on the lateral sepals and this clearly derives from its O. troodi ancestry.